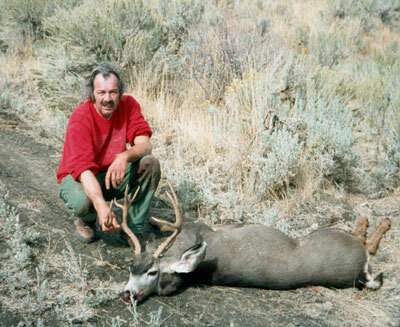 This is my small Nevada buck which I killed on October 14, 2000, in Unit 051 in Northern Nevada. He was with five other bucks and a doe. There are lots of bucks in this unit but they have small antlers. He was the next to the biggest of the nine bucks I saw.